It’s no secret that the company behind Steam has big plans for virtual reality. Now we can get a look at what those ambitions will look like. When you first start watching David Finsterwalder’s clips of Valve’s VR demos, you might think you’re looking at the real world. 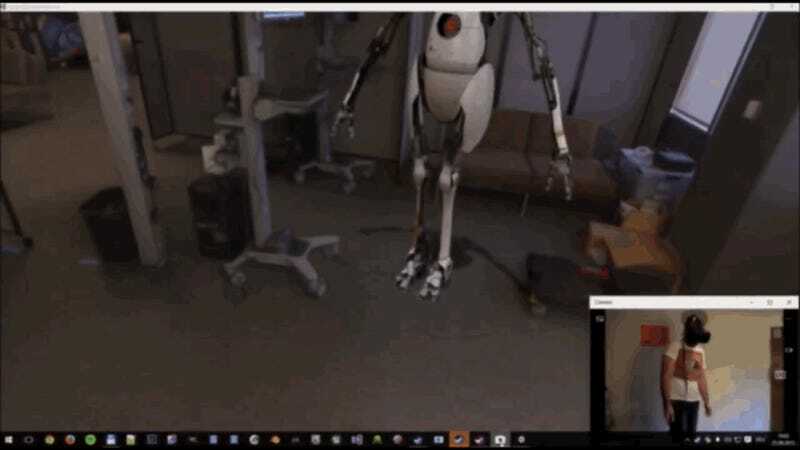 Then Portal 2 co-op robot P-Body shows up. Definitely not the real world. But the basis of the environments in the demo does come from the earthly plane we exist on, captured by a process called photogrammetry. Games like The Vanishing of Ethan Carter have used photogrammetry to images of real-world objects into digital spaces. (Valve programmer Joe Ludwig has an in-depth explanation of the processes involved in these blog posts.) When stuff in VR starts looking this realistic, it’s going to be hard to tell if you’ve taken a headset off or not.